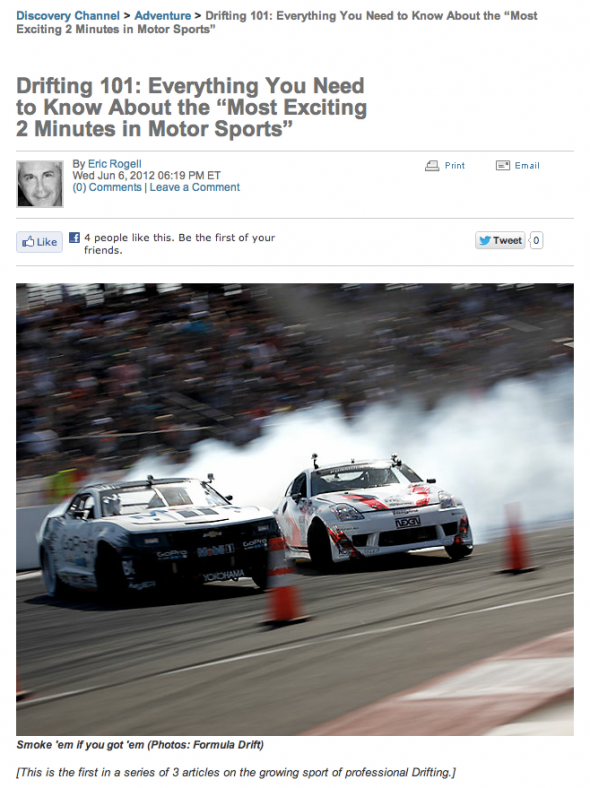 Here is the first of three articles to come by Eric Rogell from Discovery.com. He helps give new comers to the drifting world a first-hand look at how the sport works, what to expect and how you can see it live. October 19th 2011, Howell, New Jersey. Eric O’Sullivan to embark on Autoweek American Adventure. 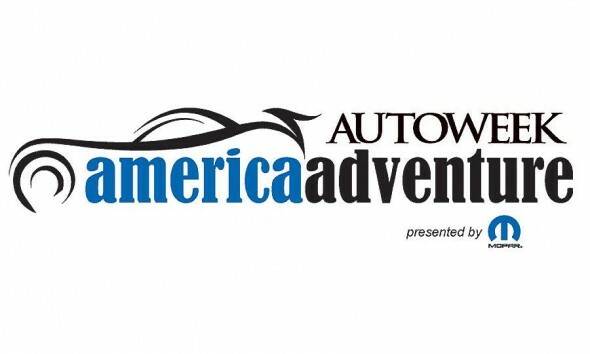 On October 26th Gardella Racing driver, Eric O’Sullivan, will cross the starting line of the 2012 Autoweek American Adventure in Seattle. The Autoweek American Adventure is a 6 day treasure hunt and race-track based rally starting in Seattle, Washinton and finishing at a live press conference during the SEMA Convention, Las Vegas. Competing alongside team mate Steve Vander Griend of ICM, Inc., the team will spend 6 days traveling throughout diverse American countryside following clues, accepting track based challenges and completing missions. Competing for daily prize keys, at the SEMA finish line each key holder will be invited on stage and given the chance to start the grand prize, a 2011 MOPAR Dodge Charger. The car chosen for this event is a 2006 Dodge Daytona Charger, a vehicle which was the first of several vehicles Flex Fuel US certified with the EPA for being a FFV. This car not only handles very well, it performs even better when ethanol is in the tank. Progress of the Autoweek American Adventure can be followed online via http://www.theamericaadventure.com/ or by following Eric O’Sullivan on Twitter @ericosullivan. Formula Drift is the pinnacle of professional drifting, following the Gardella Racing team at Wall Speedway New Jersey for Round 4 of the series this film hopefully portrays what its like to be at a Formula D event. Shot with a couple of DSLR’s and a few lenses, no tripods, rigs or any other support equipment was used … just a viewfinder. DVS Shoes and Eric O’Sullivan are giving drift fans an opportunity to get their hands on fresh DVS shoes, hoods and t-shirts in advance of the 2011 drifting season. 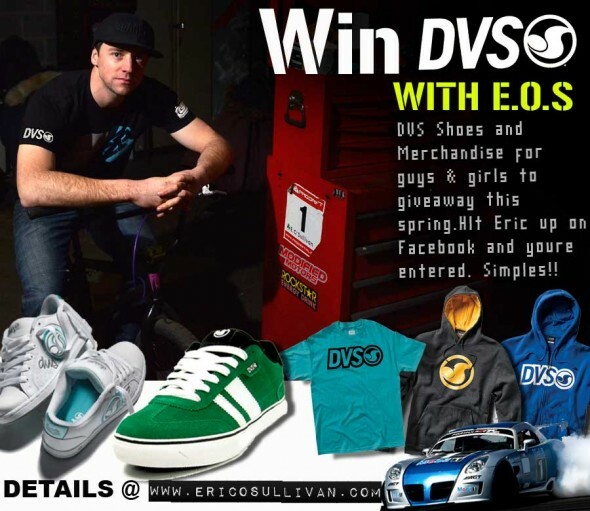 In celebration of Eric’s move to Gardella Racing and the launch of a new ericosullivan.com website and facebook fan page, Eric is giving away DVS merchandise for guys and girls who sign up to follow his progress during the 2011 season. To enter for a chance to win this gear, simply sign up to the new Eric O’Sullivan fan page on Facebook and you’re in. There will be a separate prize for male & female fans and winners will be announced on St.Patricks Day, March 17th, 2011.